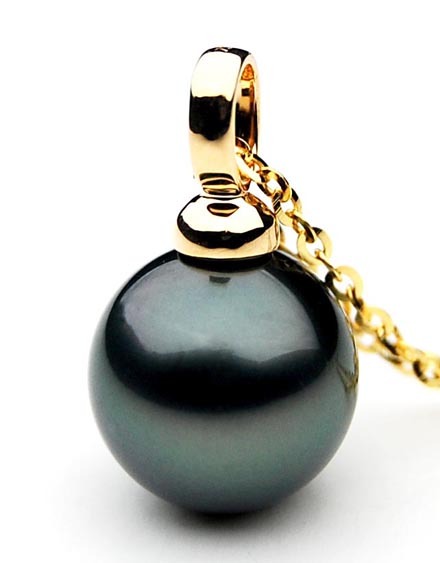 Click the button below to add the TP004 (AAA 11mm Tahitian Black pearl Pendant in 18k Gold ) to your wish list. I absolututely adore this beautiful pendant. I've never had real pearl jewellery before, and I'm so glad that I chose the right place to purchase my pendant. 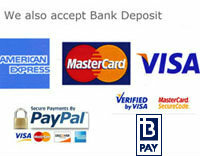 I am very impressed with the fantastic service and the speed in which this item was delivered to me. I love the certificate of authenticity - very well presented. The special cloth to use on the pearl, and the way in which it was all packaged to keep it clean really comes in handy. 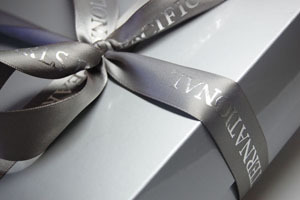 The special box that contained the pendant, as well as the larger box with the red ribbon around it made me feel like it was a very special occasion, and I couoldn't wait to open it. I already have several pearl items on my wish list, and I can hardly wait to purchase my next very special gift to myself. 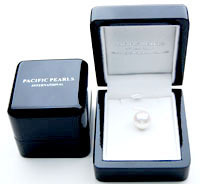 I would highly recommend Pacific Pearls to anyone considering buying beautiful, authentic pearl jewellery.